Infrared Thermometers measures the infrared temperature from the portion of thermal radiations. These thermometers consist of a lens that focuses on the infrared energy through a detector, which converts the energy to an electrical signal that can be displayed in the units of temperature. India Tools & Instruments Co. is the well-known Infrared Thermometers Manufacturers that served many industries with the quality products. Our each and every product is genuinely tested to deliver the accurate results and we do not compromise on our quality. We have a wide range of products for various industrial needs, at a very affordable price. Being the best manufacturers of Infrared Digital Thermometer and Handheld Infrared Thermometers, we offer laboratory-tested products. 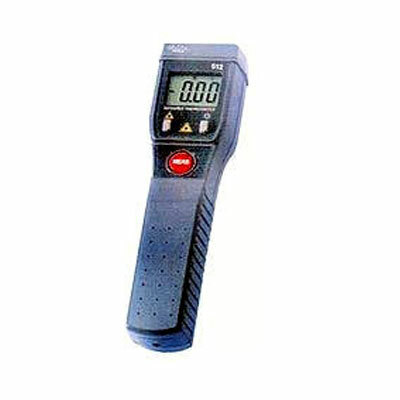 An Infrared Thermometers is the great product and mainly used in industrial sectors. It is portable and comes with an easy installation option. For more details about our product range, you can drop a mail or call us at the given contact number. • With SET, Hi, Lo limits beeper function. • Auto power off function. Accessoires : 3.7V Li Battery, Type K Temp. probe, USB cable, Carrying case with Calibration Certificate .